" This is amazing! SO EASY to put on and take off! And it looks much better than the fleece cover. The best accessory I've ever bought. " " Wonderful product. It's so easy to zip up the cover on the hose. Much easier than the other product I purchased. " 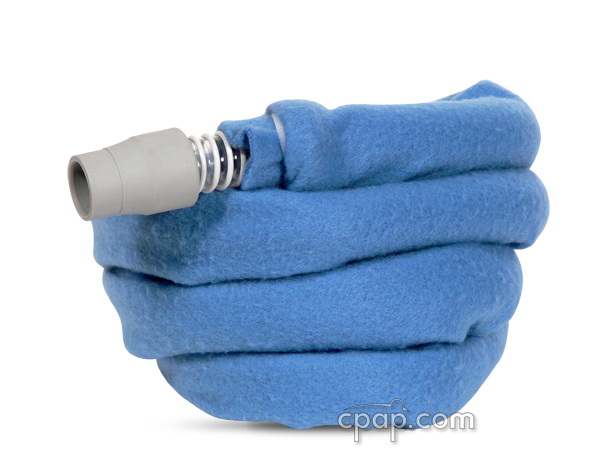 The Premium Tube Cover is a quick and easy solution for rain-out in your CPAP hose. It's insulated, polyester material helps to prevent colder room temperatures from cooling the much warmer, moisture filled humidified CPAP air. 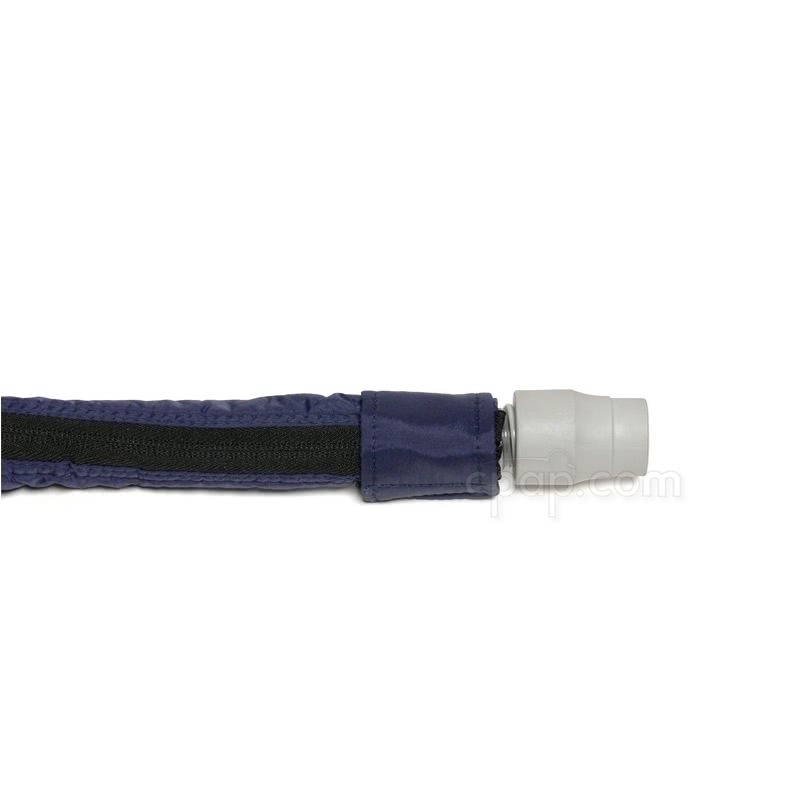 The SP Medical tube wrap is made from a polyester blend similar to a windbreaker jacket. The premium material helps insulate the CPAP tubing from ambient temperatures. 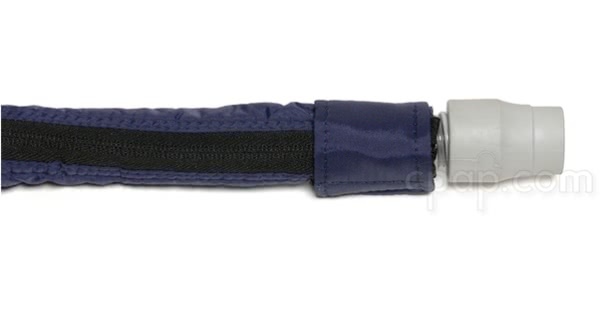 The Premium Tube Cover comes with a built-in zipper that makes the wrap easy to install. The entire unit measures 65 Inches and comes with a Velcro flap to cover the zipper head. 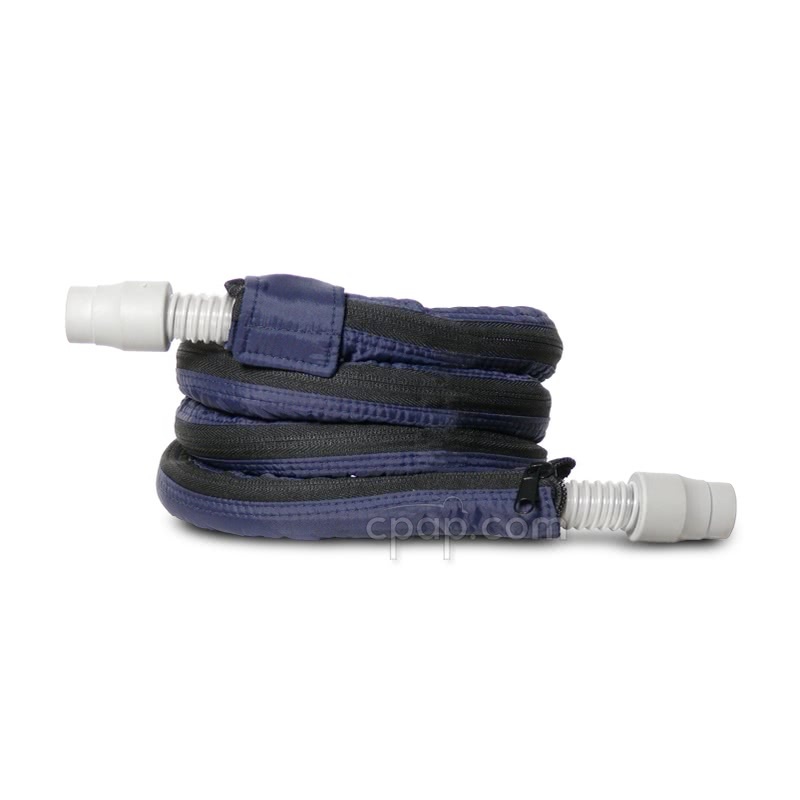 The tube cover is slightly smaller than 68 inches, which is the typical length of most CPAP hoses. The cover will still function properly if the ends of the tube are not covered. Just unzip the tube cover. Push the end of your CPAP tube through the tube cuff. Zip the tube cover closed. Fold over the zipper tab. Wrap the Velcro strap around zipper tab to secure. Install CPAP tube with Premium cover between mask and machine.